Phew. What a busy week I've had. Just about coming out on top I think, with enough time to quickly bob in to the Attic to say Au Revoir! I am off on my travels later this afternoon, my tummy feels like a thousand butterflies have taken up residence in it. I am excited and nervous, it all feels quite ridiculously unreal at the moment, like I am in some kind of dream world. But it's a good dream, full of yarn and colour, chat and laughter, travel and glorious vistas. I've been working hard on designing a quirky little project to take for the wonderful ladies who will be in Provence with me...such fun! I was originally going to assemble all the yarn and components into little kits, but as the yarn needs to be in small quantities with LOTS of colour play, I decided that a Communal Heap of the stuff would be the way to go. I hope I've got a bag big enough for the above to squeeeeeeze into?! ....a creative combination of crochet and embroidery, buttons and beads. Well my lovelies, I really do need to scoot now. Three hours till my train leaves and my clothes are still tumbling in the drier! Last minute as usual. I will be thinking of you all whilst I'm away, pointing and shooting my dinky little silver camera at all and sundry, capturing the visuals to share with you upon my return. Oh oh oh I can't wait! I will see this beautiful place through your eyes....most likely I'll never get to see it with my own. Thank you for the beauty, can't wait to see more. Your Alabama friend. Oh Lucy, Lucy we all hope you are okay and just enjoying life. We miss you and are worried about you. back with us we miss you so much!!! Oh Lucy, how we have missed you, in a slightly geeky kind of way I check every day to see if you have updated your blog, I'm always sorry when you haven't but hope your trip away was always what you wished it would be. I can hardly wait to see photos from your adventure. So wish that I could have been part of it. I am sure that it was fab! Looking forward to reading about your adventures when you get back. Checking every day for photos ! Can't wait to see them ! Love your blog and everything you make....your blog equals...happy smiley face :o) Thank you Lucy !!!!!! Hi Lucy. I wanted so badly to join you in Provence and share some hooky time with you. Instead, I worked on some projects of my own. I post my projects on my blog if you would be interested in seeing them. I hope you have/had a wonderful time and that you inspired lots of creativity in the lucky guests! Hello Lucy, I hope you had a great trip to Provence. I expect you'll be snowed under when you get back but if you get a chance could you drop me a line at helen@loveknitting.com? 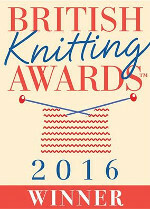 Over the summer we set up www.loveknitting.com, and we are looking for passionate creative people to help us make it better. We think with your help we could make it even better - what yarns, needles we stock, how it looks etc. It would just need you to have a good look around and answer a few questions about it (not many I promise!). We'd obviously give you a discount while you helped us. I really really hope you can. Sorry again for the intrusion. Keep up the good work! oi bom dia eu vivo no Brasil, Rio Grande do Sul, Itaqui, outro dia uma amiga me falou de seu blog e eu estou encantada com tudo, seus trabalhos de croche(que eu adoro), seu carinho com o lar e sua familia; me identifico com todo esse amor que vc demonstra. obrigada por dividir conosco sua vida, linda vida. Que Deus derrame bençãos sobre seu lar todos os dias. Lara Alderete. I love reading your blog and I have enjoyed making the ripple blanket for my neice...all one colour but still beautiful. My plan for this winter is to go to a local wool shop and choose wool to make some of the other patterns you have. I love the colours you use too! I hope your trip was fantastic! Looking forward to your new project, and oh, so envious of your adventure. I adore adventures! way away and wished I could be there. I have been reading your posts and I love your granny square ideas. Would you please share as to how you bury all the ends for the color changes. I am always afraid they will come undone. This sounds like a beautiful holiday in Provence. I am sure that region will inspire and delight. What a great idea! I can't wait to see how you get on.